Say hello to Coffee Day Square, an exquisite offering by Cafe Coffee Day that is all set to launch its irresistible new menu celebrating the taste of finer things in life. An exotic range of alternate brewing techniques, tantalizing international cuisines, global cooking techniques, international standard presentation and a tempting selection of wellness and indulgent F&B options, will make Coffee Day Square every discerning coffee and food connoisseurs dream come true. Guaranteed to take you on a culinary world tour, this delectable new menu reflects the current trends that will liven up your senses and bring you something you’ve never experienced before. The menu plays around with international flavours in a manner that it offers a new twist by interestingly combining flavours. Coffee Day Square is the ideal place to experience something new, trendy and exclusive; offering a menu that is bursting with irresistible dishes perfectly paired with the choicest beverages. Enticing flavors, signature meals, spicy-sweet treats and aromatic coffee, have all been curated with a creative flair and passion for international taste. This dining experience holds a wide repertoire that caters to every taste. Known for its unique coffee experience with Single Origin Coffees, the new beverages launched in the menu at Coffee Day Square begins with three Alternate Brewing techniques, where each method accentuates a particular taste profile with a rich, deep combination of flavors that needs to be tasted to be believed. This includes the Siphon, the French Press and Pour Over. Fascinating coffee innovations also include drinks like Espresso Express which is a shot of espresso with an intriguing flavour of rum and tequila topped with milk foam. 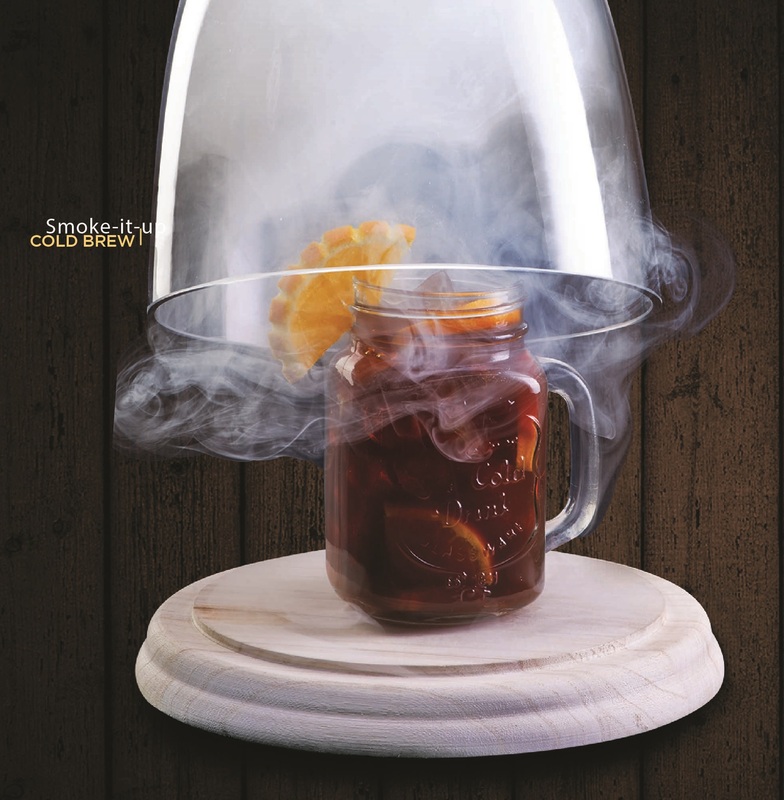 There is also the unique Smoke-it-up Cold Brew – a Mandarin flavoured cold brew which comes in a blanket of smoke in the ‘Cold Coffee Extravaganza’ category . There is a whole new range of preferentially selected beverage categories as well like ‘Luscious Smoothies & Shakes’, ‘Soulful Sips’, ‘Virgin Cocktails’, ‘Refreshing Teas’, and not to forget ‘Cocoa Excess Shake’. Keeping in mind the global trend of wellness that is pioneering in India, the exquisite menu has also lined up a selection of drinks made with latest wellness ingredients like avocado, sea buckthorn, chamomile and more. Drinks like Avonade, Zesty Coconut Mandarin and infusions like Tranquil Twist and Purple Berry Blast have been introduced in order to create a fine balance between wellness and indulgence. Coffee Day Square offers a freshness of quality presentation enhancing a visual appeal combined with exemplary cooking techniques like smoking and molecular gastronomy that is correlated to global cooking as well as eating habits. Hence items like Lenthil Vadas which serves caviar on crispy vadas have been introduced to the menu. There is drama to even the simplest of dishes like Pani Puri Twister that is bursting with flavors and textures. Avid travellers and food lovers can easily find and pair their favourite aroma & flavours and call this place their own. The menu is time specific too, running into an extensive breakfast, lunch & dinner options. The dessert category can be reserved for an after dinner meal. However, there is a separate section catering to the all-day diners who can experience mouth-watering options between anytime of the day. A unique blend of International flavors has been authenticated with a tasty twist. Specific items in the Japanese, Korean, Oriental cuisine have a zing of Indian flavor in it, Vietnamese Grilled Paneer Skewers, Nashville Chicken Fingers, Kung Pao Chilli Chicken to name a few. Diners can choose to enjoy morning favourites including eggs and omelettes, celebratory cakes, pastries and heart-warming pizzas and burgers complimented with light and fresh salads. The exotic range of breads and sandwiches, noodles, rice are the next level of deliciousness. Adding to the experience is an irresistible range of cakes and desserts. There’s plenty to intrigue your palate with the likes of caviar, avocados, and the use of not one, but three exotic varieties of cheese – Cheddar, Blue cheese, and Gouda. Whether you wish to relax with a morning coffee or dine more formally, whether it’s a heart-warming signature meal or a selection of sweet treats, whether it’s the hot sip or cold brews, Coffee Day Square is the ideal location for an exemplary global culinary treat in town. Café Coffee Day is India’s largest café chain in terms of number of café outlets as of December 31, 2014 (source: Indian Coffee Industry Overview, March 2015, Technopak (“Technopak, March 2015”)) and operates through Coffee Day Global Limited (“ CDGL”), a subsidiary of Coffee Day Enterprises Limited. Café Coffee Day has pioneered the coffee culture in the chained café segment in India (source: Technopak, March 2015) and opened its first café in Bengaluru in 1996. Café Coffee Day’s menu ranges from a mix of hot and cold coffees and include several food options, desserts and pastries. In addition, Café Coffee Day brand merchandise and accessories such as coffee mugs, coffee machines, travel mugs, etc. are available at the cafés.